2 Bedroom, 1 Bathroom Waterfront Home with Garage and Shop! 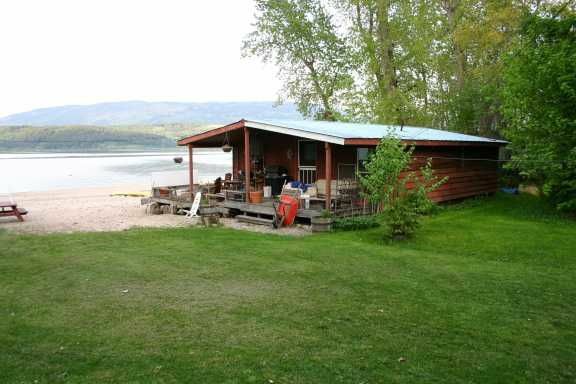 The MOST Affordable option to the Shuswap Waterfront Lifestyle! Be the first to see this property, First time ever on the market! WATERFRONT Home on Salmon Arms most beautiful SANDY BEACH! This year round residence was built "Movable", home offers 2 Bedrms, 1 Full Bathrm; Garage, Shop, Private, Quiet & Peaceful. Land Lease Sale with Improvements greater than sale price; you can't go wrong here!! Live Year Round only 10 minutes from Salmon Arm and Build memories that will live beyond a lifetime! Lease is $7500/Yr; Taxes are $5100/Yr. Absolutely the nicest beach on the Shuswap Lake; Clean and Sandy! Boat to Sicamous or Salmon Arm Downtown Wharfs! Live Year Round or Enjoy as a recreational property!